Each year families and friends across the country gather together to watch the biggest game of the year. Whether you’re a fan of the great commercials or a football fanatic, you’ll most likely be eating some amazing appetizers and food while watching the game. 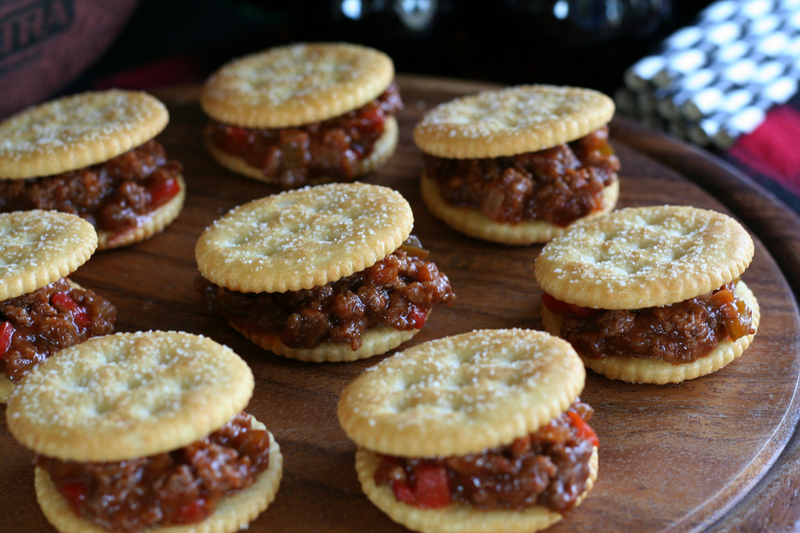 These RITZ Sloppy Joe Sliders are the perfect game day appetizer, they are always a huge hit in our house. 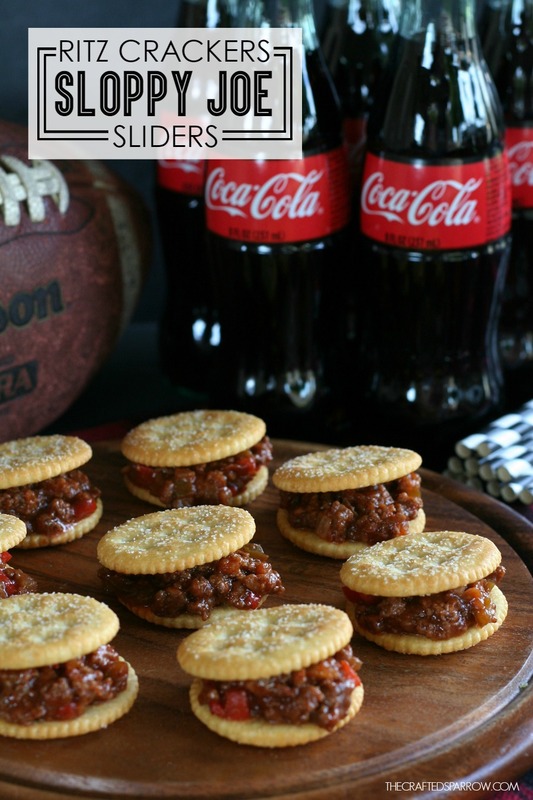 This year I’m so excited to be teaming up with Coca-Cola & NABISCO to bring you fun entertaining tips and recipes perfect for the Big Game! 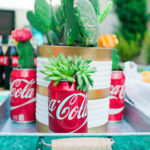 Score BIG by using Coca-Cola & NABISCO “Home Bowl“ products and visiting HomeBowl.com for entertaining ideas and inspiration for upcoming game day parties. 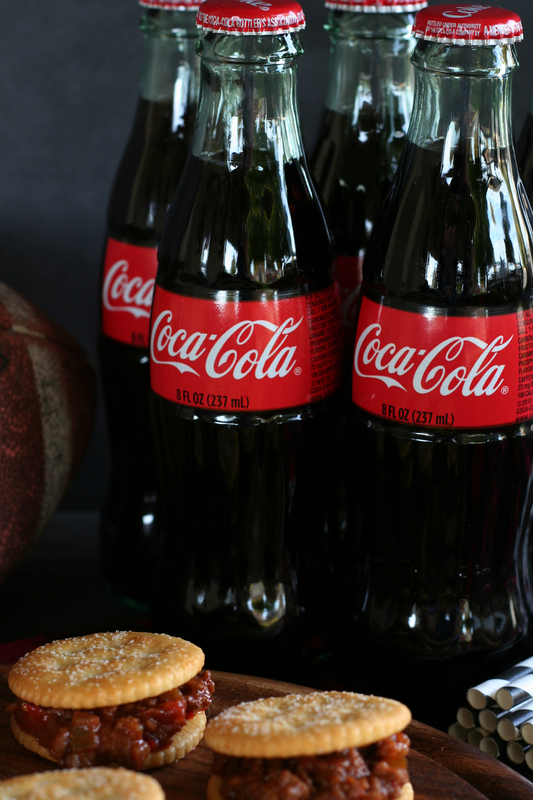 Coca-Cola & NABISCO create the perfect lineup to bring your family together for the most anticipated football game of the year! 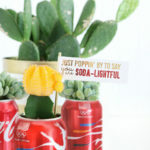 Not only are you getting an awesome recipe today, two lucky winners will have the chance to receive a Coca-Cola & NABISCO “Home Bowl” Prize Pack valued at $400! Find all the details at the bottom of this post. 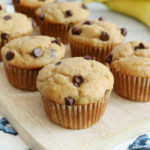 This recipe is so easy to make, it’s sure to be a crowd-pleaser! Over medium heat melt butter in a large skillet. Add onion, stir occasionally until onions are translucent. Add bell peppers, continue to cook for about a two minutes. 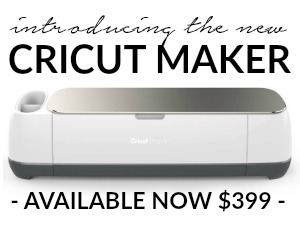 Being sure to stir occasionally. Add garlic, stir and then add ground beef. Using the back of a large spoon or meat chopper break ground beef apart, allow the beef to cook for 3 - 5 minutes. Add mustard, worcestershire, chili powder, paprika, and brown sugar. Stir to combine everything. Add ketchup, vinegar, and season with salt and pepper to taste. Turn heat to low and let simmer for about 15-20 minutes. 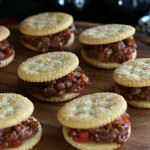 Using a small spoon scoop the sloppy joe mixture on to RITZ Crackers and top with another cracker. Add shredded cheese if desired. 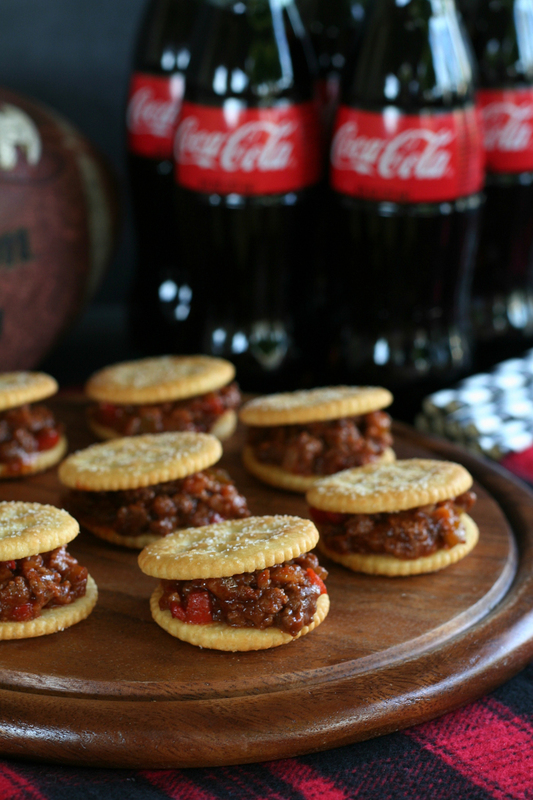 Be sure to pick up some Coca-Cola to serve along side your RITZ Sloppy Joe Sliders, they make the perfect game day combo! 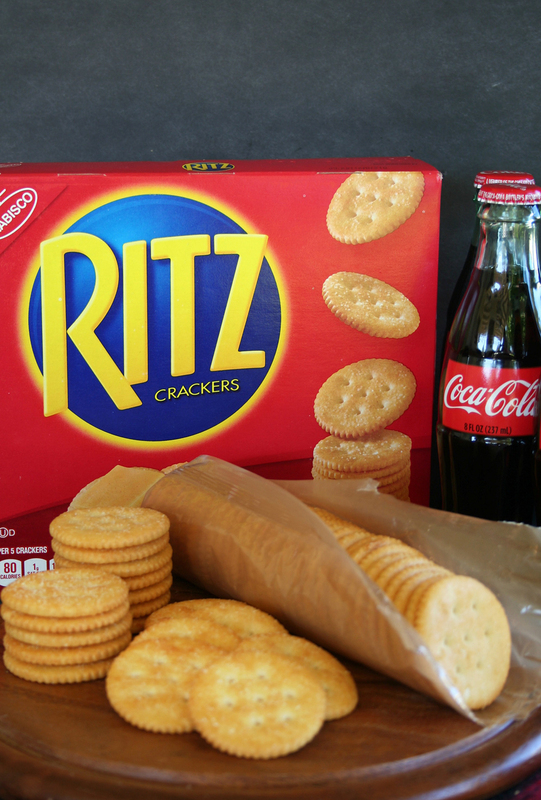 Don’t forget to look for Coca-Cola & NABISCO “Home Bowl“ products in stores nationwide right now! UPDATE: THE GIVEAWAY IS NOW CLOSED! Congratulations to our winners Brittany Marie Thompson & Barbara Ryan! DISCLOSURE | This post is sponsored and written by me as part of a partnership with The Coca-Cola Company and Mondelez Global LLC. All opinions and ideas are my own. 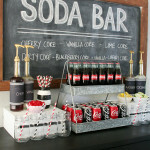 Prizes provided by The Coca-Cola Company and Mondelez Global LLC. 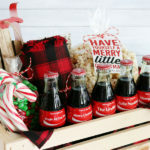 The Coca-Cola Company and Mondelez Global LLC is not a sponsor, administrator or connected in any other way with this program. COULD THIS BE DONE WITH PORK? I had fun creating my #HomeBowlHeroContest inboard. 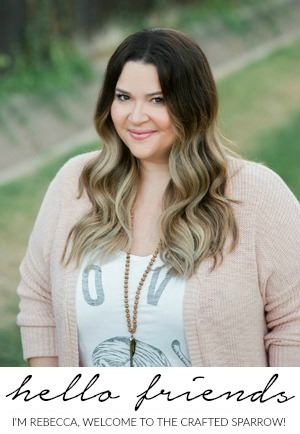 Here is the link to my board – https://www.pinterest.com/serenaadkins/the-coca-cola-nabisco-homebowlherocontest/ – Thank you for the chance. I love football, planning parties and love to invite my friends over for the fun times. This is my #HomeBowlHeroContest board! I’m excited to try these little sliders at our work superbowl party!